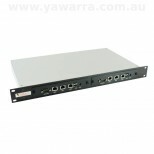 The dual-board rackmount APU 1 is one powerful embedded server. With heaps of storage options, 3 Gigabit ethernet ports, built-in 3G/4G support, the sky really is the limit. And it’s still just as tiny and fanless. 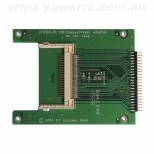 For SME server applications, the silent, ultra-reliable and inexpensive ALIX 2-3 boards are an excellent solution. The dual board configuration with internal IEC power supplies is perfect for building ultra-reliable redundant systems in a server rack environment. The APU 1 is one impressive embedded server. With heaps of storage options, 3 Gigabit ethernet ports, built-in 3G/4G support, the sky really is the limit. And it’s still just as tiny and fanless. The APU 2 is one impressive embedded server. With heaps of storage options, 3 Gigabit ethernet ports, built-in 3G/4G support, the sky really is the limit. And it’s still just as tiny and fanless. With 2 mini-PCI slots and 2 ethernet ports, the ALIX 2-2 gives you the flexibility to have multiple wireless connections, and is also suited to simplified networks that have just one internal and one external network port. With 1 mini-PCI slot and 3 ethernet ports, the ALIX 2-3 gives you the flexibility to add wireless if you want it, while also allowing you to have multiple internal networks, multiple internet providers or a DMZ. The Intense PC2 has a powerful 1.7GHz dual-core Intel Core i7 CPU, but uses only 10W when idle, and up to 27W under full load. Suitable for Windows or Linux, it also offers dual-head HDMI display, DisplayPort technology, digital and analogue audio, and up to 16GB of RAM, plus dual gigabit ethernet, wireless ethernet, Bluetooth and up to 8 USB ports. Developed with a focus on miniaturisation, robustness, reliability and silent operation, the fit-PC4 Pro is remarkably power efficient, using just 24W under full load. The fit-PC4 Pro also has extremely powerful graphics capabilities, dual Gigabit networking and eight USB ports. Developed with a focus on miniaturisation, robustness, reliability and silent operation, the fit-PC4 Eco is the most power efficient desktop PC in its category, using just 16W under full load. 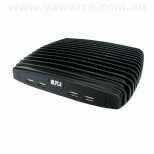 The fit-PC4 Eco also has extremely powerful graphics capabilities, dual Gigabit networking and eight USB ports. Build one powerful embedded system with the APU 1 single board computer. With heaps of storage options, 3 Gigabit ethernet ports, built-in 3G/4G support, the sky really is the limit. And it’s still just as tiny and fanless. 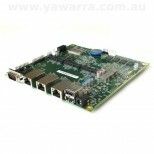 With two ethernet ports and two miniPCI slots, the ALIX 2-2 board is perfect for specialist projects requiring a small, low power usage, reliable single board computer (SBC). Along with a 500MHz processor and 256MB of RAM, this board includes two USB 2.0 ports. With three ethernet ports and one miniPCI slot, the ALIX 2-3 board is perfect for specialist projects requiring a small, low power usage, reliable single board computer (SBC). 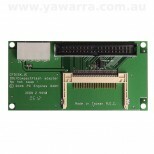 Along with a 500MHz processor and 256MB of RAM, this board includes two USB 2.0 ports. 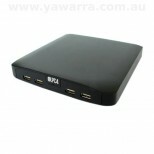 With an extruded body, this case allows you to just slide the boards in and out with ease, and looks very professional. 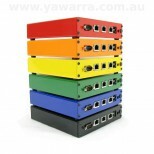 It includes punchouts for ethernet, serial and USB ports, plus SMA (with blanking plug) and power. The ALIX 2 case is completely fanless and takes up minimal desk space. This adapter allows you to add IDE storage to an older device that is used in harsh environments (e.g. 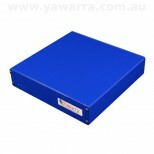 high temperatures, high-vibration, risk of shock or droppage) and requires storage that is more stable and resilient. Connect a Compact Flash (CF) card to the 2.5″ 44 pin IDE interface in your laptop drive tray. 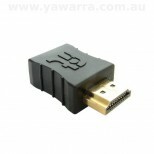 This adapter allows you to mount the adapter, along with a CF card, in a convenient location. This is especially helpful when you’re tight on space, or you want easy access to the CF card. 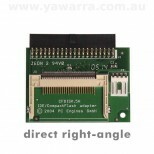 Connect a Compact Flash (CF) card to a normal 40 pin IDE interface in your PC. This adapter is especially useful when you don’t need (or want) ready access to the CF card, and is ideal when space is limited. 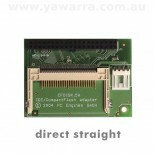 Connect a Compact Flash (CF) card to a normal 40 pin IDE interface in your PC and have it appear as a normal disk drive to your operating system. Access your PC remotely without needing a monitor. Save yourself the hassle of having to plug in a monitor you’ll never use with the fit headless plug. A small, low-cost alternative to a monitor you never use.